The only road that leads to Zermatt, one of Switzerland’s most renowned resorts, home to about 6000 people and reaching 2 Mio. 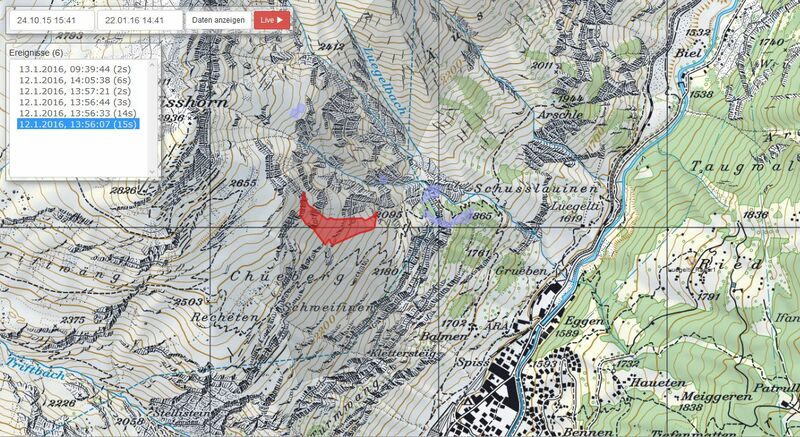 yearly overnight stays, is threatened by the two infamous avalanche gullies Lüegelti and Schusslobina. While most tourists reach Zermatt by train, locals and goods traffic depend heavily on the cantonal road that connects Zermatt and Täsch, the next village down valley. In good weather, avalanches in the two gullies are triggered artificially by helicopter blastings. For the past 30 years, trigger lines have been used to keep the road open during stretches of bad weather when flying is impossible, closing the road when an avalanche triggers one of the lines. This system, however, had its shortcomings: after every avalanche, it was inactive and the trigger lines needed to be replaced — a risky and costly job during winter. Furthermore, only avalanches that passed by the trigger lines were recorded. Since December 2015, a new system using radar technology has replaced the old trigger line system. 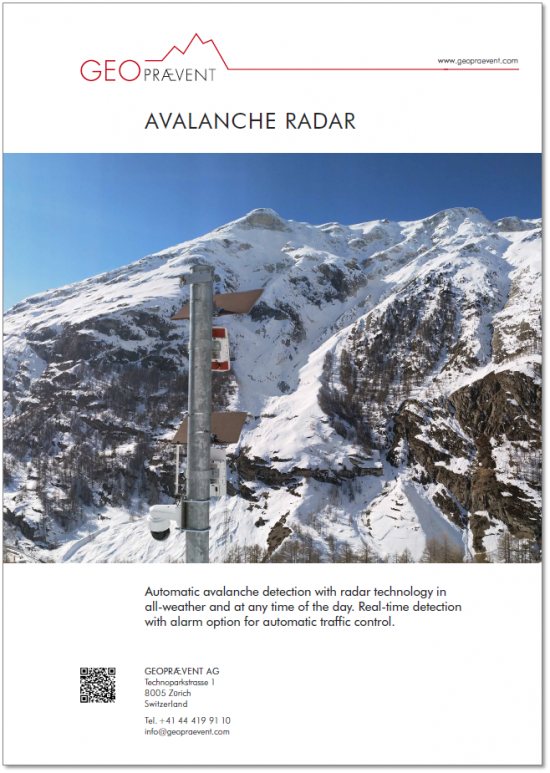 In cooperation with Brig-based ForstIngPlus we installed some brand new technology: two avalanche radars with a range of 2000 m and a horizontal opening angle of 90° survey an area of more than 2 km2. They react within seconds, and immediately close the cantonal road by means of traffic lights and barriers. 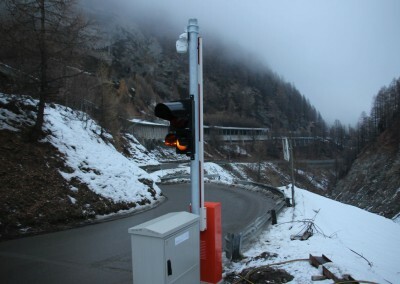 To prevent further traffic from entering the section between Täsch and Zermatt, a fifth traffic light is activated in Täsch. 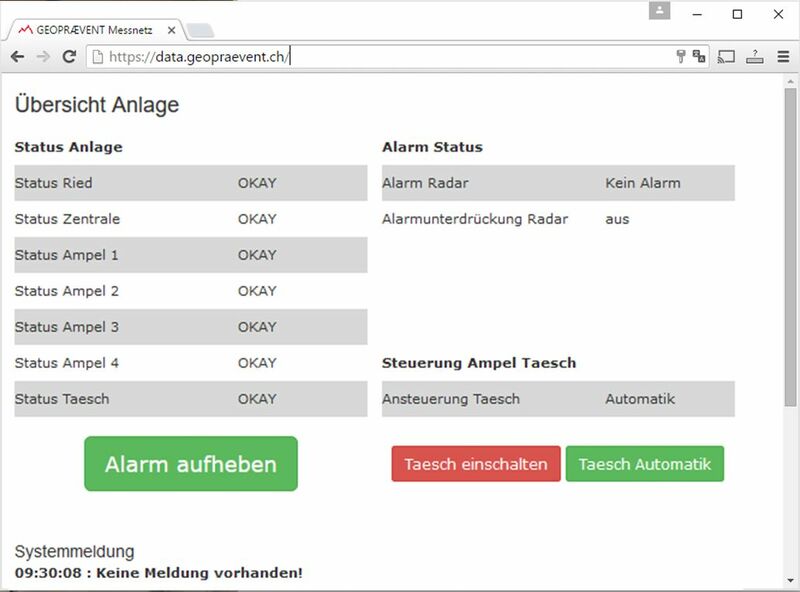 Local authorities receive prioritized SMS and calls (Swisscom eAlarm emergency), and live cameras installed along the road allow them to check on the situation immediately — even at night, as all cameras are equipped with infrared floodlights. 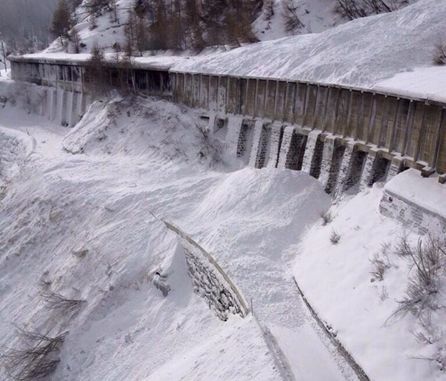 If the avalanche has not reached the road, authorities can reopen it from their computers or smartphones within minutes. 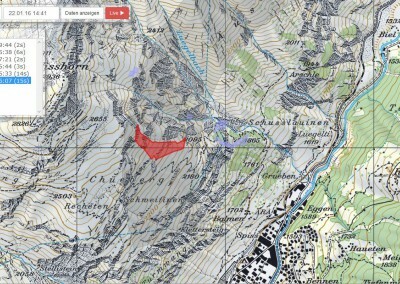 The project has been supported by the Canton of Valais. The radars are mounted on the opposite side of the valley. 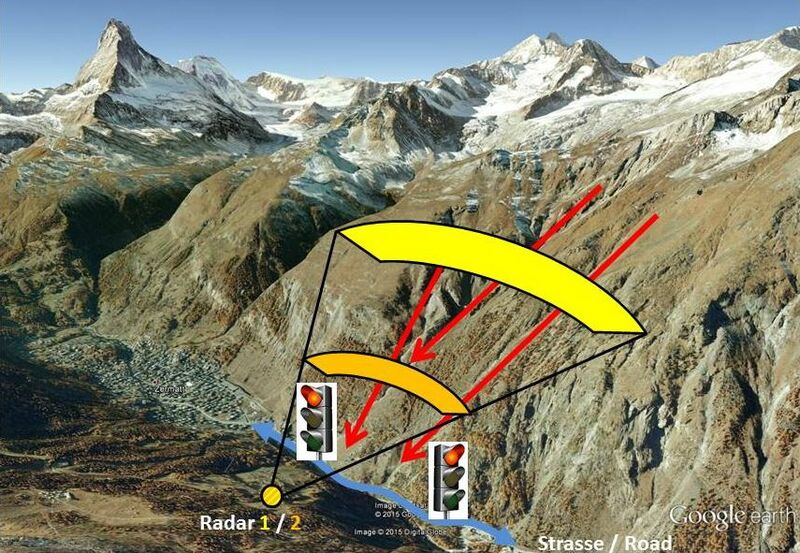 Each radar surveys one horizontal band, and closes the road immediately once an avalanche has been detected. 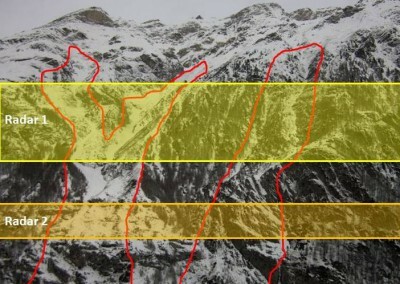 The lower band can be used to automate the reopening of the road, if the avalanche stops between the two bands. The radars monitor a total area of roughly two square km. The color in this graph indicates the distance to the radar in meters. 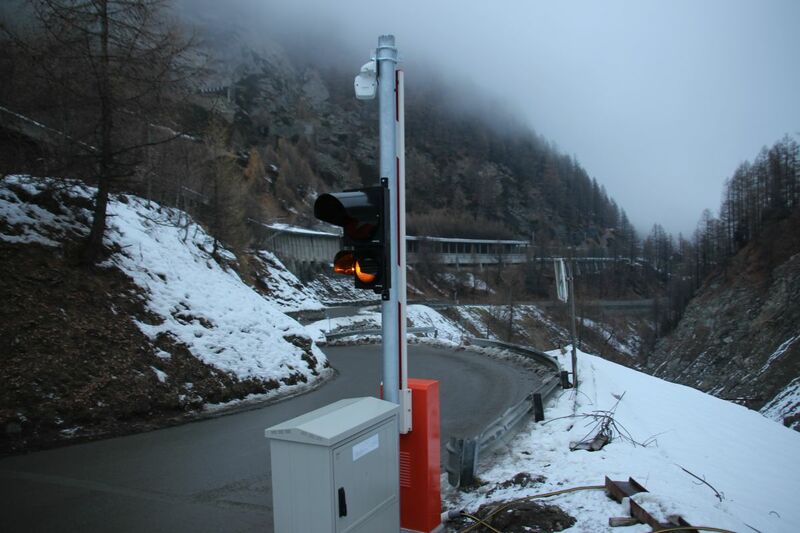 Four traffic lights and barriers automatically close the cantonal road within seconds of detecting avalanche activity. Cameras allow authorities to check the situation immediately after an alarm. If the avalanche has not reached the road, authorized users can reopen it per command from a computer or smartphone. 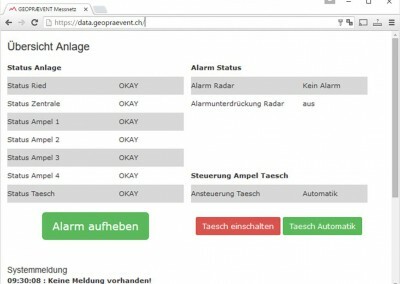 On the same page, the status of each component of the system is displayed. 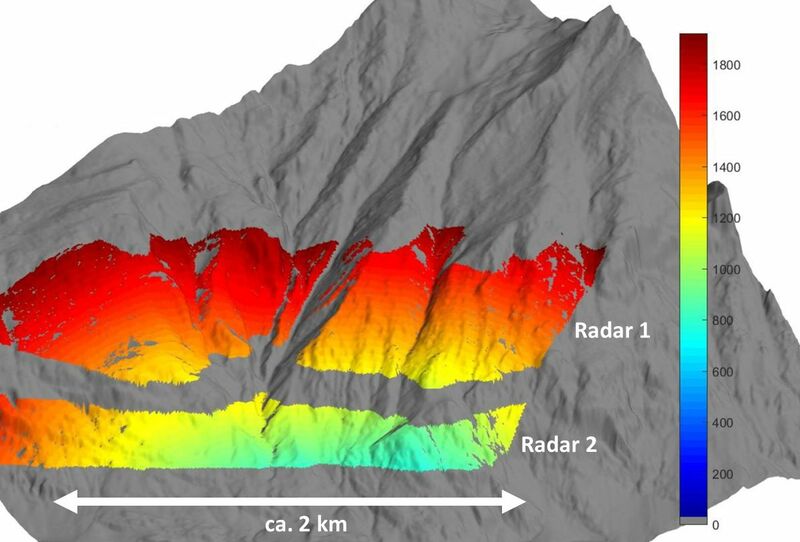 Detected avalanches are automatically mapped and can be overlaid on Swiss topo maps online. The road buried by an artificially released avalanche. 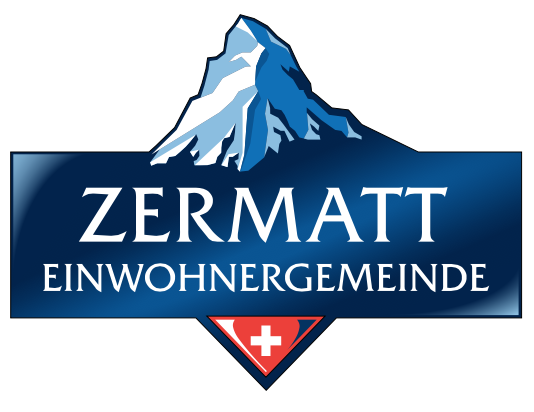 Image © Municipality of Zermatt. Swiss TV featured the project in the evening news. I am totally excited about the system. 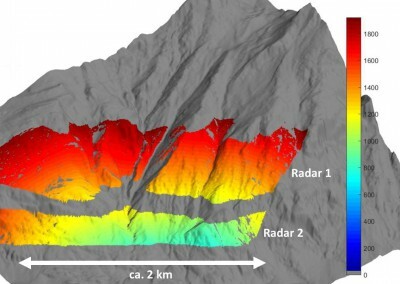 The avalanche radar is always running, even after an avalanche. In the past, it always took a while to replace trigger lines. The system works very well! 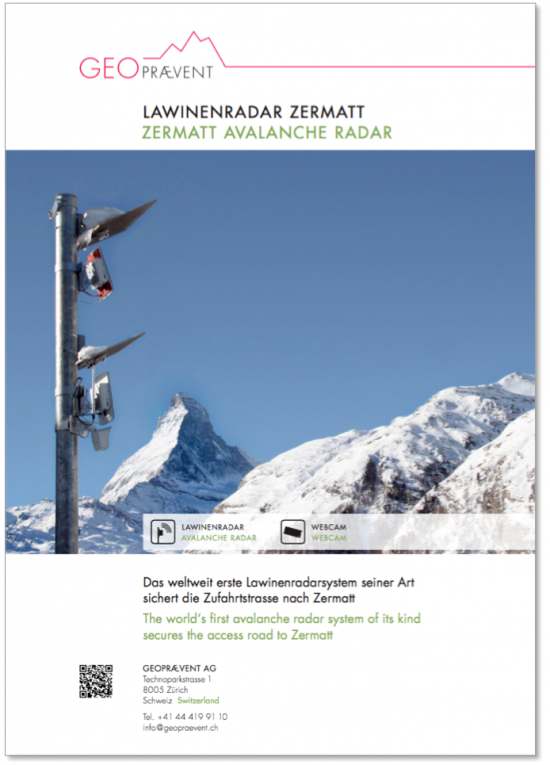 It supports us in monitoring the road Taesch-Zermatt. 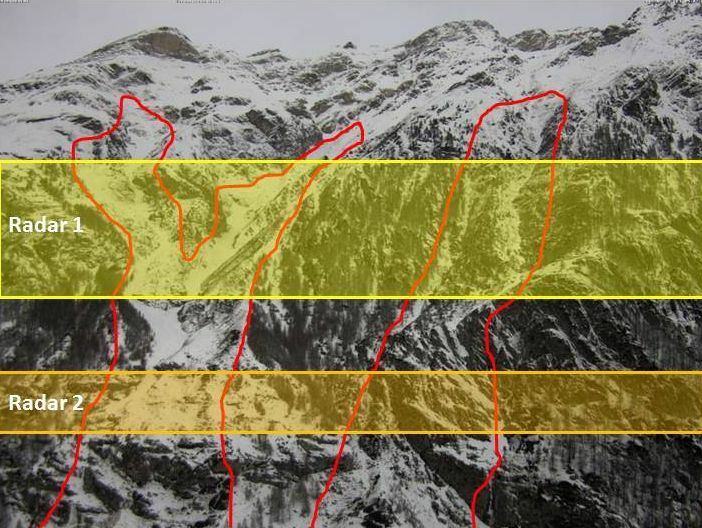 Every single avalanche movement in the area is shown which let’s us assess the situation a lot better. In many cases it was hard to judge, if we should close the roads or not. 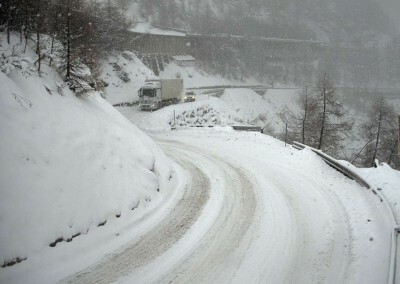 Now we can leave the roads open as the systems closes them automatically in case of an avalanche. Thanks to the webcams we can check, if the avalanche reached the road. If it didn’t we can easily reopen them. All of this without going into the zone of danger. 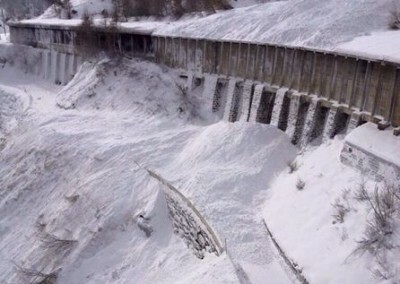 The system also shows the size of the avalanche and it’s flow. It works very well and does increase the safety.